An Ancient Solar System...: SpaceX to Mars? Above: An artists impression of the Red Dragon capsule landed on Mars. Courtesy of SpaceX. 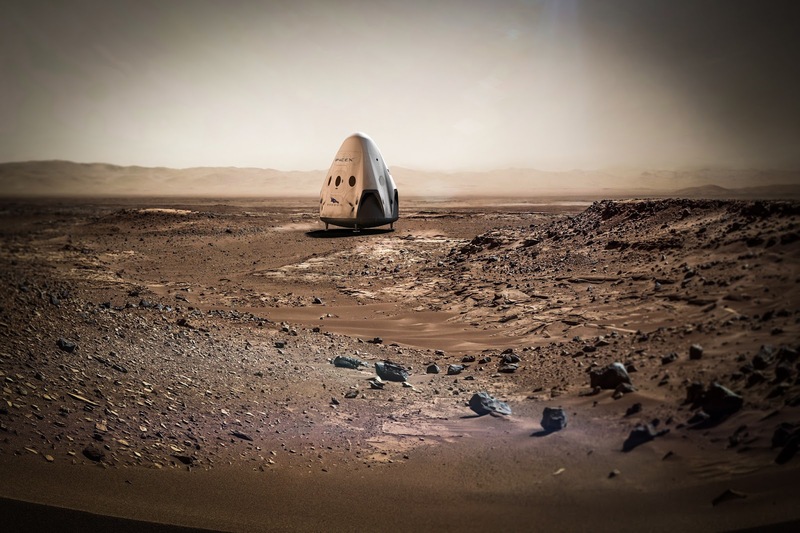 Elon Musk, SpaceX's founder, has spoken in the past of hugely ambitious Mars missions. His ultimate goal is private manned missions and a colony. 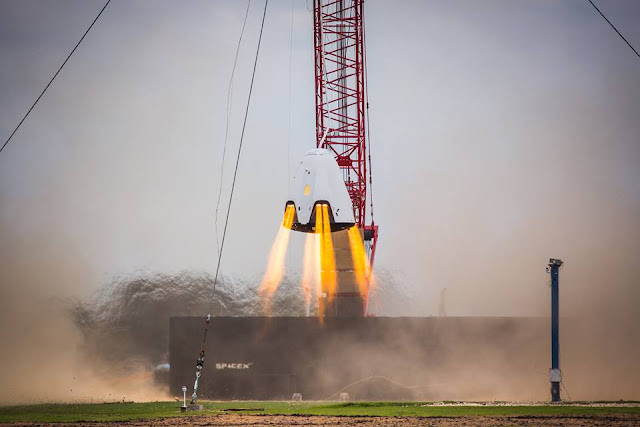 SpaceX have had a Mars adapted version of their Dragon spacecraft, called the Red Dragon, in planning for a while now. Red Dragon will land a payload 5 to 10 times bigger than any previous mission, using rocket motors to slow it's descent. The science payload hasn't been described yet, but may include a sample return mission. Red Dragon will be a huge step towards the Dragon 2 craft, which will be able to land anywhere in the solar system. It will launch on SpaceX's Falcon heavy rocket. Above: A dragon capsule conducts landing tests, using a similar 'propulsive landing' to that described for the Red Dragon variant.